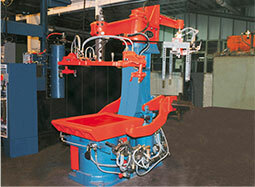 Having purchased the top foundry equipment companies; Osborn, SPO, Herman, and Impact, EMI is able to both support existing equipment and manufacture new machines. New machines designed and built by EMI improve on the best features of these classic industry workhorses with improved efficiency, reliability and maintainability. By integrating automation, new technologies and the latest process controls, EMI can reduce labor and improve efficiencies in molding operations. 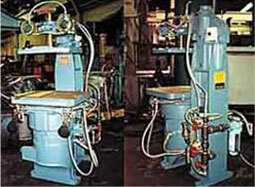 EMI is the only manufacturer to produce genuine Osborn, SPO, Herman, and Impact new machines. We carry an inventory of OEM spare parts and trained service technicians for field service and remanufacturing. Contact our technical staff at 216.651.6700 or use the contact us form on this page to learn more how EMI can improve your metal casting operations. 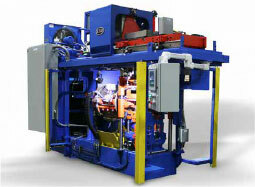 Most recently EMI has partnered with Savelli, a global leader in the design and installation of highly customized and high performance “Green Sand” molding machines, sand preparation, and return systems for foundries which produce iron, steel and aluminum castings. 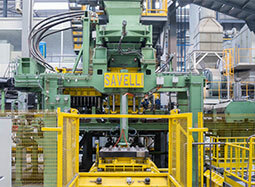 In the consolidated world of green sand molding equipment, Savelli stands with EMI to deliver the most technically advanced machinery in the world. No other manufacturer can match the high productivity – lowest cost of ownership that Savelli green sand systems offers. Contact our application specialists to learn more about the innovative features and numerous advantages of Savelli molding systems.